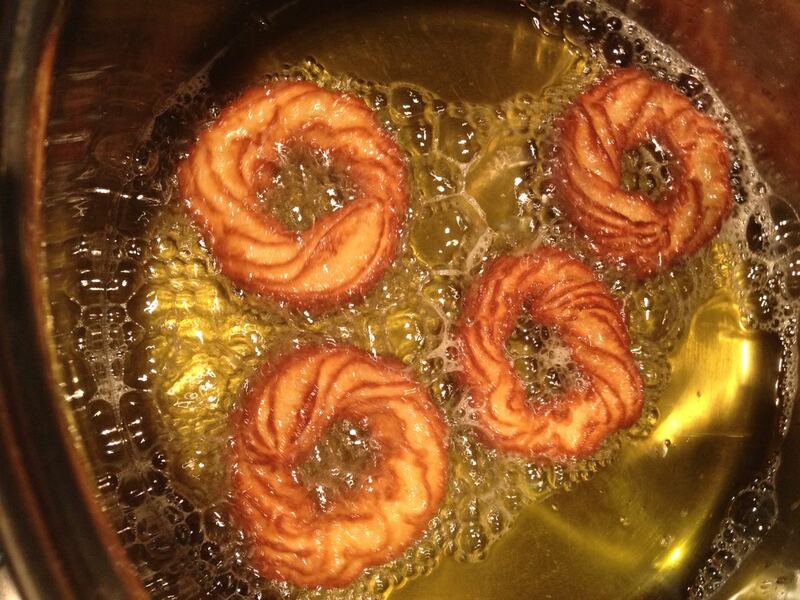 These rosquillas are fried in healthy olive oil. You won’t find a “dónut” that’s better for you. 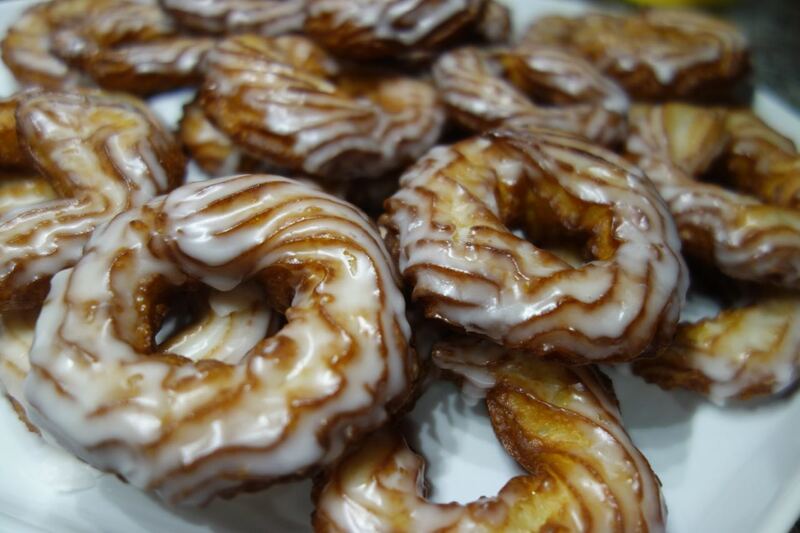 Rosquillas de San Froilán. Sort of like a cake donut, but a thousand times better. They are eaten in the Spanish region of León on the October 5 feast of San Frolián. Who was San Froilán? Honestly, I don’t know. I’ll have to look it up. How long have rosquillas been associated with his feast day? Oh, just a couple of decades. I surprised you, didn’t I? You expected them to be an ancient recipe. Well, the recipe was almost lost to history, it’s true, but these rosquillas are a recent invention with an interesting story. 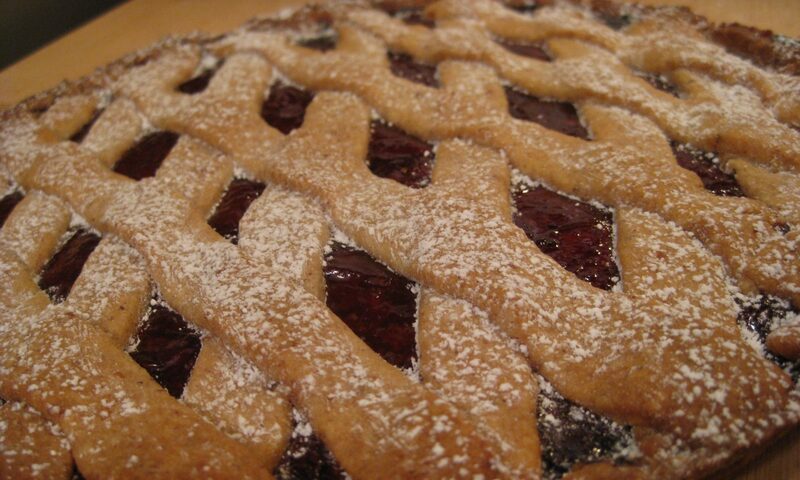 In Spain, there are master pastry chefs, artisanal pastry chefs who specialize in traditional, regional pastries, who are as well versed in the history of pastry in a particular region as they are in the art and craft of pastry making. During his mandatory military service, one of these master pastry chefs from León was serving in Asturias, where he hung around and swapped a few techniques with a German master pastry chef who happened to be working there. When he finished his service, the visiting chef worked in Germany for a while, and then came home to León. He tried selling rosquillas in León, but they didn’t catch on. He stopped making them. He liked the recipe though, so he included it in the textbook he wrote for his culinary school for pastry chefs. A couple decades go by, and an Asturian master pastry chef comes to León and opens a line of fine pastry shops selling Asturian-style pastries (“Confitería Asturias“). Chefs at this level are always keeping up to date on each others’ work, so one day he’s looking through the recipes in the other chef’s textbook and discovers rosquillas. He adds them to the menu, and boom, they’re a hit. San Froilán is suddenly everybody’s favorite holiday. This magical collaboration among German and Spanish chefs would have vanished altogether, if not for the good chef’s penchant for constant tinkering–and good record keeping, too! Be careful: it will ruin regular donuts for you forever. Good food is like that.